SOS Children's Villages started negotiations with the government of Cambodia in 1999 and the Cambodian SOS Children's Village Association was founded in 2000. 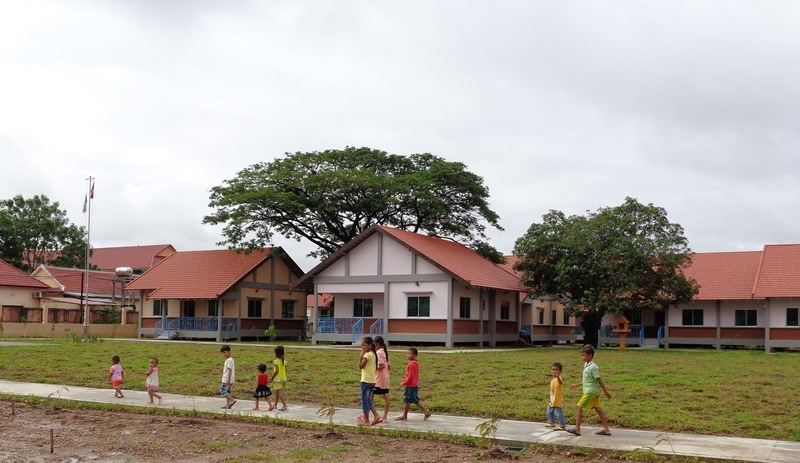 Kratie is the fifth location where we run several programmes to support the local population. Kratie is a small town situated on the Mekong River north-east of the capital of Phnom Penh. Around 70 per cent of the population lives in rural areas, surviving off subsistence farming or fishing. Although some improvements have been made in recent years, the region remains underdeveloped and over one third of its inhabitants are poor. It is estimated that 30 per cent of households live on less than one US dollar a day. The physical and emotional development of children is negatively affected by these harsh social and economic conditions. A significant number of children are malnourished and are subsequently underweight and small for their age. The provincial infant mortality rates of 97 per 1,000 live births, and child mortality rates of 80/1,000, are significantly higher than the national average. There is a high incidence of curable illnesses but medical treatment is often not easily available. For example, around half of all children are delivered without the help of a trained professional. The high rates of sexually transmitted infections and HIV/AIDS are worrying. Some parents struggle to put food on the table. Children from poor families often do not go to school, but are expected to work in order to contribute to the family income. Children who live in a female-headed household are particularly vulnerable as women tend to have less access to land and, due to limited education, fewer means of making a living. Children are at risk of exploitation and violence, sometimes at the hands of human traffickers who operate in the area. Years of conflict resulted in stressful social and economic conditions in Cambodia, which have a huge impact on family life. Many fall apart, leaving countless children without parental care. Many others are at risk of losing parental care unless families are given the support they need to stay together. The provision of family strengthening programmes and family-based care allows children the possibility of experiencing the support of a loving mother and siblings. SOS Children's Villages runs a number of programmes in Kratie. Our programmes are designed to meet the needs of the families who live in the area. The family strengthening programme works in conjunction with local agencies, and aims to support families at risk of abandoning their children and to encourage them to stay together. The programmes are designed to ensure that children have access to essential services, such as education and health care. Families are given training and assisted with income generation schemes. For children whose families can no longer take care of them SOS Children's Villages provides a loving home in one of the twelve SOS families, where they grow up with their brothers and sisters and be cared for by an SOS mother. It is common that the children in our care have not been to school at all, or only intermittently, and so we prepare them to join mainstream education. The children attend the SOS Kindergarten, where they are taught together with children from local families. To parents who have to earn a living it is very important to have professional day-care for their children, so that they are not forced to leave them unattended while they are at work. Older children attend the local schools.